Okanogan Elder Dan Nanamkin chants a Sasquatch song at Rainbow gathering 2017, Oregon. I’m happy to see dogs in this photo and I have a question about the Sasquatch not liking dogs. If I understand correctly, it’s just that they don’t want the dogs around because the dogs can see/smell them and give away their hiding spots from hunters. Otherwise, if no one is hunting them and just walking in the woods hoping to meet the Sasquatch and have a neighborly relationship with them, do they like dogs then? My dogs would certainly embrace them and call them family. Thanks so much. Thanks for your comment Jot. The Sasquatch have similar feelings towards Humans and domestic dogs. If the dogs (or people) are afraid or aggressive, the Sasquatch prefer staying away. I’ve heard only once the Sasquatch angry cry in northern California 1986, because a dog was barking like mad at it and the cry silenced it right away. In 2003 on Vancouver Island, we saw a Sasquatch by the road side in the rainforest and the dog with us freaked out barking, so the Sasquatch paralyzed us through hypnosis, so he could slowly get away safely. Dan’s dogs are beautiful and remind me of my husky/chow/starBeing puppy who was brought to me through the Lion’s Gate portal last year. I believe he must have something to do with my connection to the Sasquatch. Which reminds me, it feels like a new puppy is coming in and I’ve decided I want to name her Squatchy. 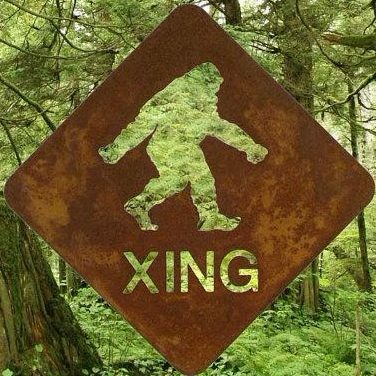 Not to mock the Sasquatch, but to honor them. It feels like they are OK with this. Socializing her will open up the minds of those who ask why I named her that…. I also have a question about the Sasquatch screech.. I was out walking about 10 days ago at 4:30 am, my usual time, and I heard something I’ve never heard before, about a half mile away.. It started out like an animal scream but got more intense and I found myself in a moment of being terrified. Not terrified for me but terrified for them. I’ve never experienced anything like it in my life. During the end of the screeching, it almost sounded like a woman being murdered. I am assuming this was the Sasquatch, but have never actually heard this on video. What is your opinion? Thank you. I’m in Santa Fe, NM and we do have wolverines, foxes, along with mountain lions and I’ve listened to all the recordings of wild animals on youtube lately, trying to match the sound. The closest is this recording: https://www.youtube.com/watch?v=GFSWJKmZ23Y. Does this sound genuine to you? The force and power behind the sound was enormous. It sent that feeling of terror through every cell in my light~body…..(smiling) Thanks for your help, so greatly appreciated. I would love to join your gathering, we’ll see if that manifests for me.